I'm engaged in a face-off on Floor Covering Weekly with a formidable flooring foe: fellow columnist Jonathan Trivers. Both of our articles will appear in the same issue in March 2012. Jon is legendary for his 'Marketing Wit & Wisdom' which comes to life during flooring industry trade presentations and in print. Not only is he respected for his retail consulting and his experience running Abbey Carpets, but he is also author of One Stop Marketing, published in 1996. He is an acerbic observer of the flooring industry. Jon Trivers has long claimed that Facebook and Twitter are a waste, especially for flooring retailers. He is now taking his anti-social media opinions to his Floor Covering Weekly column and plans to reduce to rubble the new, social ways of conducting business online! I will rebut his claims in my Floor Covering Weekly column. Twitter and Facebook can be effective for business; many have been undeniably successful connecting with customers using the tools of social media. To make the case ironclad, I need your help. I want to prove him wrong with your help, showcasing your success stories and using the tools he despises so much. What you find most valuable about Twitter and Facebook. How do Twitter and Facebook help you in your business? What successes have you had with Twitter or Facebook? What advice would you offer retailers getting started with Twitter and/or Facebook? Invite others whose Facebook and/or Twitter stories should be included. You can do so via comments to this blog, tweets to @cbwhittemore, your own blog response, as well as comments on the Simple Marketing Now Facebook fan page. I promise to recap all responses here. Thank you! I am counting on the most social column winning! That means we will all win! 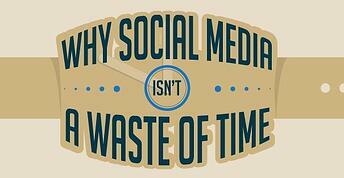 Image credit: Is Social Media a Waste of Time?